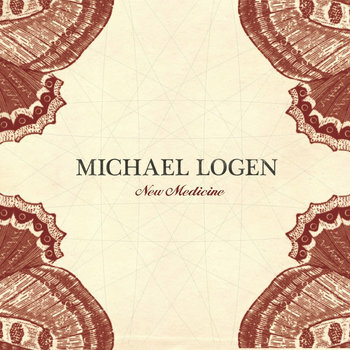 'New Medicine,' Michael Logen's stunning, sophomore release is an articulate, measured examination of the inner-workings of the human mind and heart on a backdrop of gorgeous, sweeping, acoustic-based, rhythmic folk/pop. Logen's raspy, charismatic vocals range from whispered to raucous, delicate to driving. "Ready Or Not," the first single from the album, starts out small before exploding into a full-on, sing-along, indie-folk/rock redemption story. Songs from 'New Medicine' have been featured on 5 television shows and "Breaking Your Own Heart," co-written by Logen, was covered by Kelly Clarkson on her Platinum-selling, Grammy-Award winning album, 'Stronger.' Here you'll find Logen's original, intimate acoustic version of the song. Recorded in Nashville, the album also contains several exceptional guest appearances from the brilliant Liz Longly, Kim Richey and Ruby Amanfu.